The passing of Sheila Elizabeth Reed of Fredericton occurred at Oromocto Hospital on Wednesday January 30, 2019. She was 75. Born in Saint John, N.B., she was a retired writer and District Manager for the Telegraph Journal circulation department. Survived by her Daughter Aldon (Gerry) of Toronto; Camden (Jody) of Mactaquac, Ija (daughter in law) of Sweden and Shawn Anderson of Yoho Lake. Grand children Tyler Burley (Bailey Burley) of Langley, BC, Atlin & Coal Anderson of Yoho Lake, Kierstin, Soren, Gordie of Sweden. Sheila loved baking for her grandchildren and passed her time reading. Her prime passion for most of her life was fishing with her husband John Gordon Reed II. The two fished the rivers of Northwestern Miramichi up to Matapedia for most of their married lives. 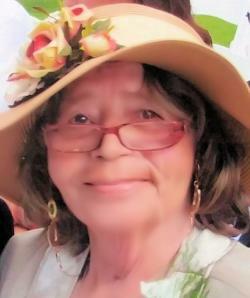 Sheila for many years was active in volunteer work for Ducks Unlimited and writing game recipes for outdoor magazines. At the family’s request, there will be no visitation or service. In Sheila’s memory we ask you to catch a fish and think of her. Her ashes will be transported to Bermuda at a later time to be laid to rest with her husband (John II), son (John III), father in law (John I) and mother in law (Alice).